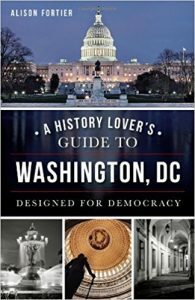 This tour of the nation’s capital goes beyond the traditional guidebook to offer a historical journey through the federal district. Visit the White House, the only executive home in the world regularly open to the public. Travel to President Lincoln’s Cottage and see where he wrote the Emancipation Proclamation. Look around lesser-known sites, such as the grave of Pierre L’Enfant, the city’s Botanical Gardens, the Old Post Office and a host of historical homes throughout the capital. From George Washington’s Mount Vernon to the Kennedy Center, trek through each era of Washington, D.C., for a tour of America’s most beloved sites. Join author and Washington insider Alison Fortier as she carefully curates an expedition to our shining city on a hill.